A session in which MPs will vote again for the law ratifying the name agreement has been scheduled on Thursday, it was agreed Monday in a coordination meeting of Parliament Speaker Talat Xhaferi and coordinators of parliamentary groups..
Last week, a decision of President Gjorge Ivanov was forwarded to the Assembly saying he wouldn’t sign the decree promulgating the law on the ratification of the final agreement for the settlement of the differences as described in the UN Security Council resolutions, the termination of the 1995 Interim Accord and the establishment of a strategic partnership between the parties. Now, the law is in the hands of the lawmakers. The law on the ratification requires to be passed with a majority of 61 votes in favor. After a revote in Parliament, the agreement will be once again sent to the President, who is obliged under the Constitution this time to sign it. It is expected after the revote President Ivanov again to refuse to sign the bill into law and to implement the so called ‘pocket veto’. He has already applied this veto regarding the Law on the Use of Languages. Ivanov has backed up his decision not to sign the decree promulgating the law on the agreement’s ratification with a list of reasons. 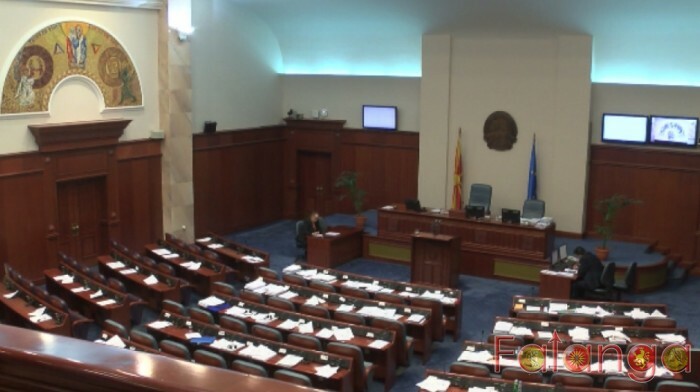 Parliament Speaker Xhaferi said that after the revote, he would send the law to the Official Gazette of the Republic of Macedonia having one signature only. He also said he would do the same thing with the law on languages, whose decree remains unsigned by President Ivanov.